This review of 2, 3, and 4 digit times one digit multiplication using a secret code and word problems is sure to be a hit! 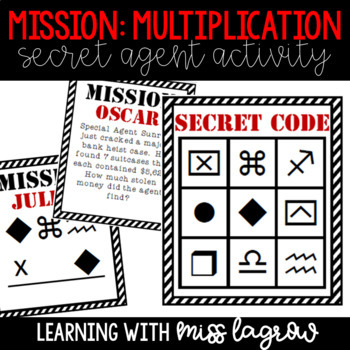 Make your students secret agents for one day! You can also check their answers yourself OR make it a self-guided center! Included is a Google Form that tells the students if the answer they type is correct or not.